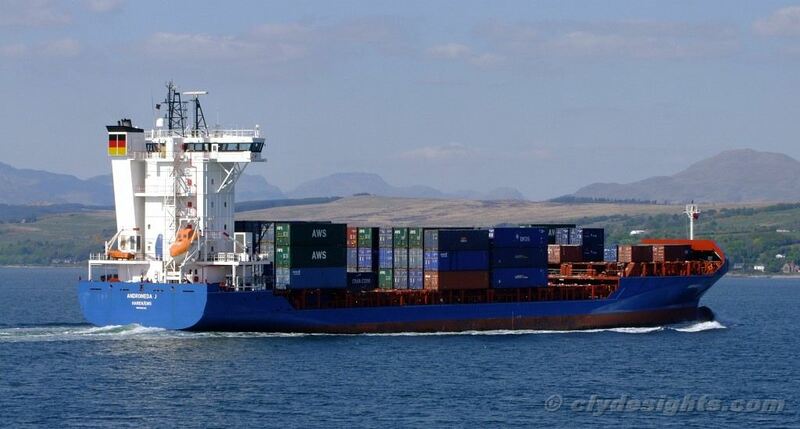 Also seen arriving the same day was a similar sized ship, ANDROMEDA J, which was running for MacAndrew on their Iberian peninsula service from Dublin, Liverpool and Greenock to Bilbao. Eleven years younger, she was built in 2006 and has retained her original name since she was launched at the Hegemann shipyard near Bremen in Germany. 139.6 metres in length, she has a deadweight of 11,052 tonnes and can carry 850 TEU containers.